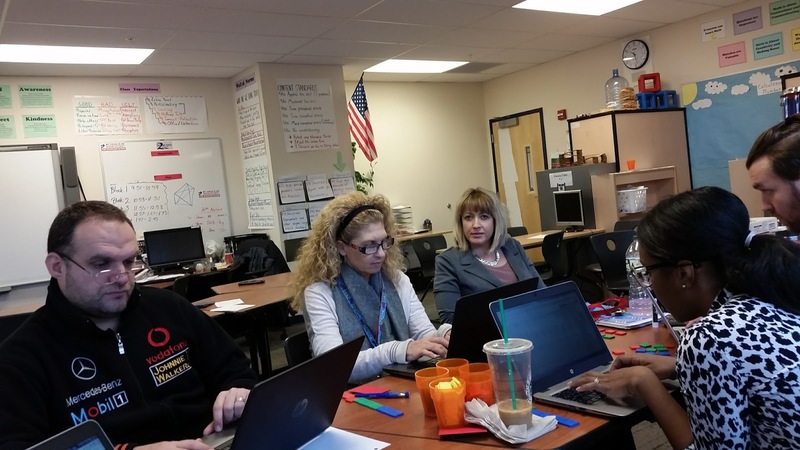 Many teachers who use standards based grading only count content (and maybe math practices) into the final grade. 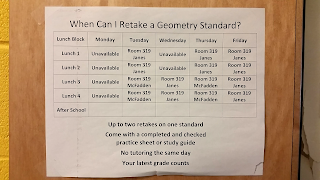 I think it’s important to think about effort and behavior, but in a way that makes sense with standards-based grading. I also wanted to personalize it to meet my student’s needs. 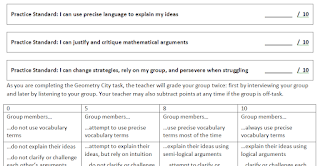 I created a rubric that has 10 goals. 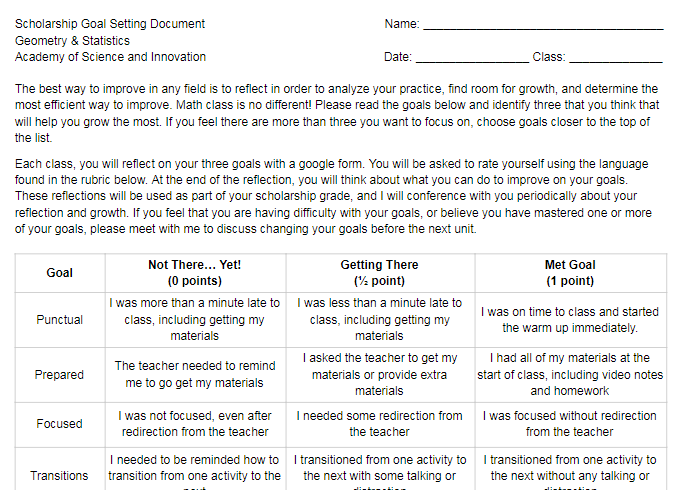 Each quarter, students choose three goals, and reflect on each of their goals every class in a google form. At the end of each quarter, we meet and they can change their goals. This gets translated into their scholarship grade. 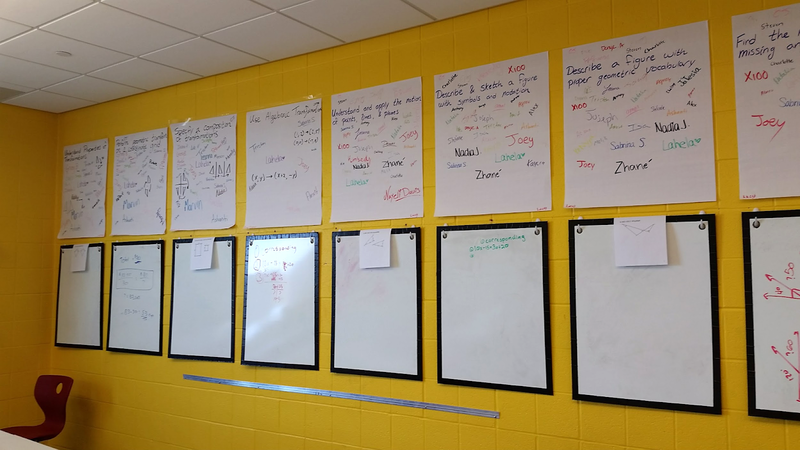 So, students are essentially grading themselves. There are students who need to be reminded they were late to class, or disorganized, but if you're paying attention, most students are honest. 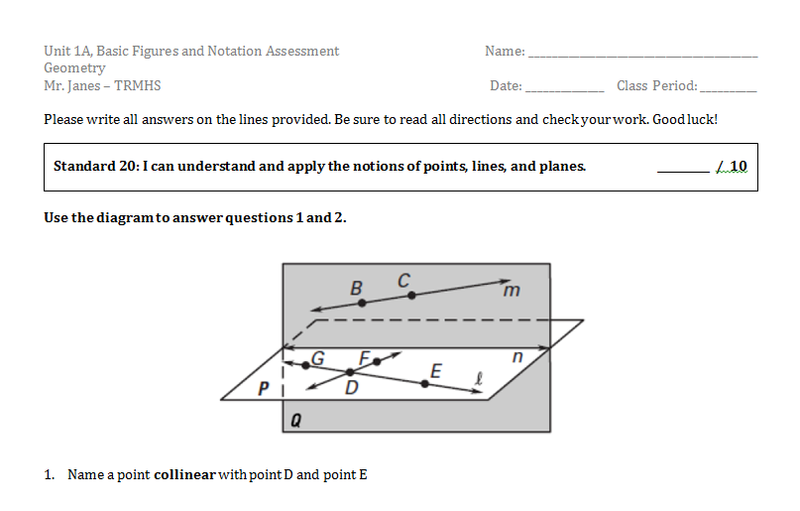 Below is the worksheet that I give students. Here is an electronic version you could print. We typically start there, and then move to a google form once students are comfortable. You can actually have google send these reflections home to parents. Check out Marissa Walczak's post about it here. However, don't feel that electronic is the only way to go. 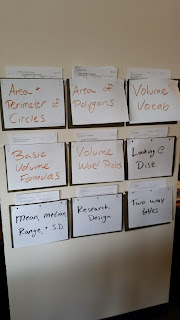 Normal paper works great, and if students keep a math journal, this can easily be integrated in. The best way to improve in any field is to reflect in order to analyze your practice, find room for growth, and determine the most efficient way to improve. Math class is no different! Please read the goals below and identify three that you think that will help you grow the most. If you feel there are more than three you want to focus on, choose goals closer to the top of the list. 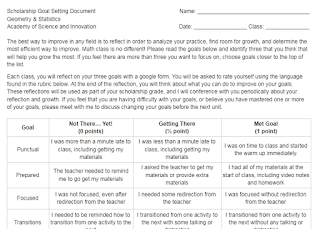 Each class, you will reflect on your three goals with a google form. 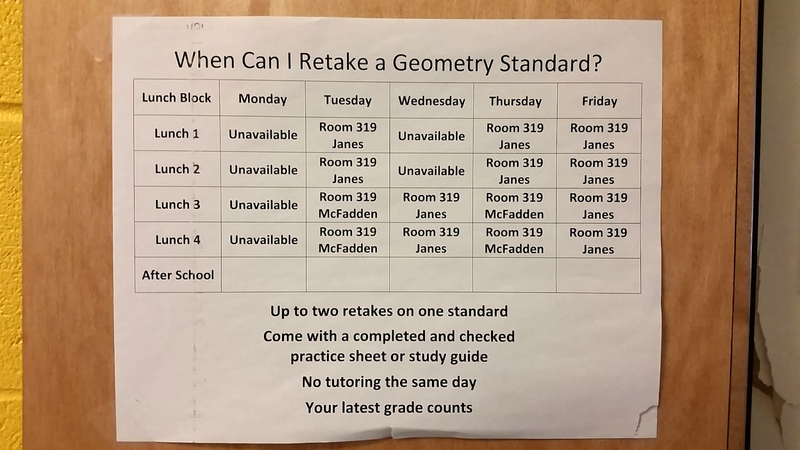 You will be asked to rate yourself using the language found in the rubric below. At the end of the reflection, you will think about what you can do to improve on your goals. 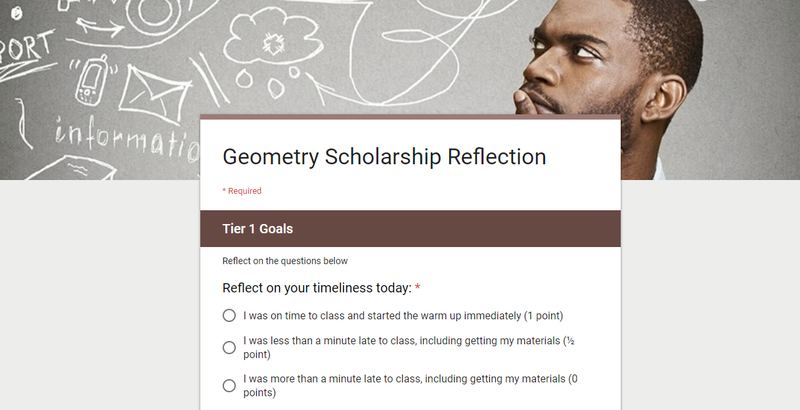 These reflections will be used as part of your scholarship grade, and I will conference with you periodically about your reflection and growth. 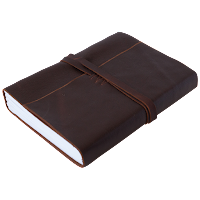 If you feel that you are having difficulty with your goals, or believe you have mastered one or more of your goals, please meet with me to discuss changing your goals before the next unit. I was on time to class and started the warm up immediately. 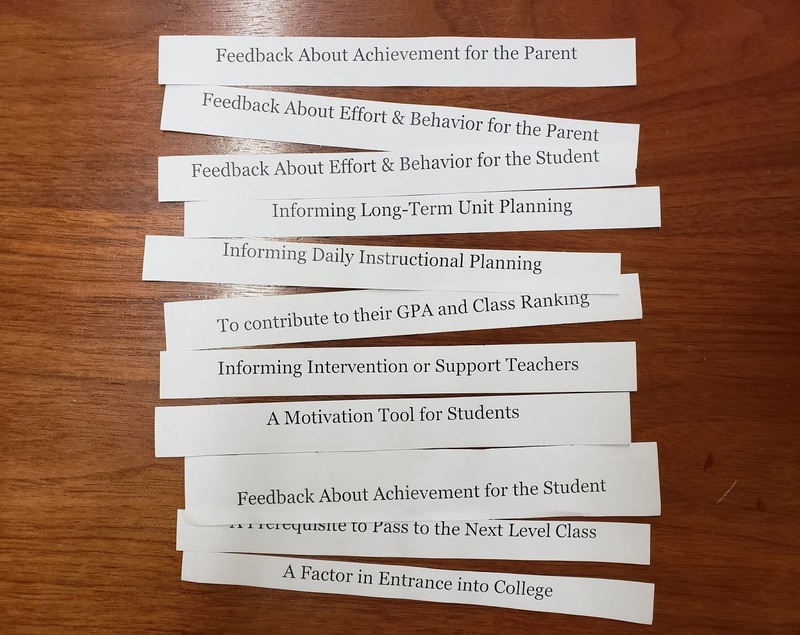 I've done a lot of thinking about all the ways that students get feedback, including formal assessments, informal comments, and personal reflections. 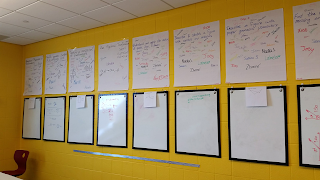 When you sit down to list them, there are quite a lot: written feedback on exit slips, verbal feedback from peers during group work, passing comments from me as I circulate around the room, a number in red at the top of a test, and so many more. Yet, I think I've settled on three general buckets for these types of feedback, or at least for the feedback I want to record as a grade. 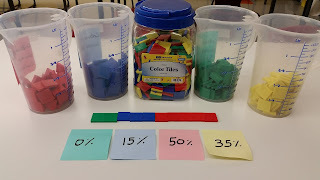 Below are the three buckets with some explanation to them. Click each one to find out more. 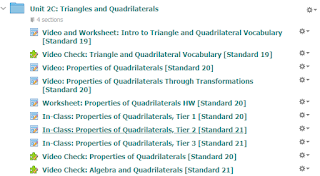 Content standards come from assessments that measure progress towards one or more of the Common Core Math Content Standards or any math-specific standards. 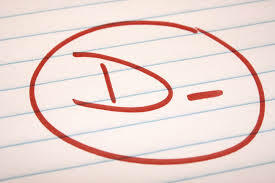 This could also be called the “traditional” math grade. Typically, content skills and knowledge are not very transferable to other courses, except ones that directly use math content (e.g. physics). 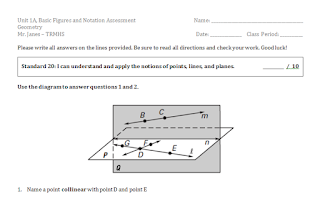 Examples of assessments include exit slips, quizzes, tests, and content-specific tasks. There may be (and often is) more than one content standard per assessment. I typically assess three separate standards in one sitting. 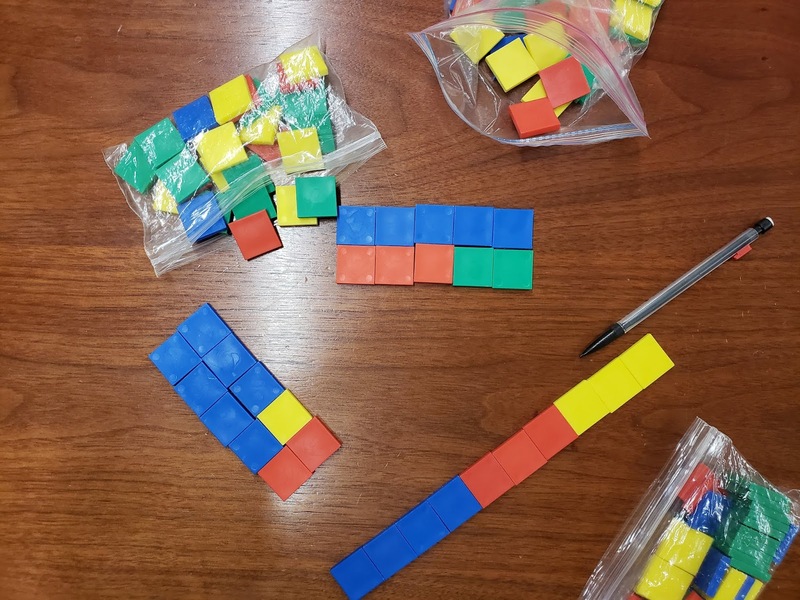 Practice standards come from assessments that measure progress towards one or more of the Common Core Standards for Mathematical Practice or other 21st Century Learning Skills. 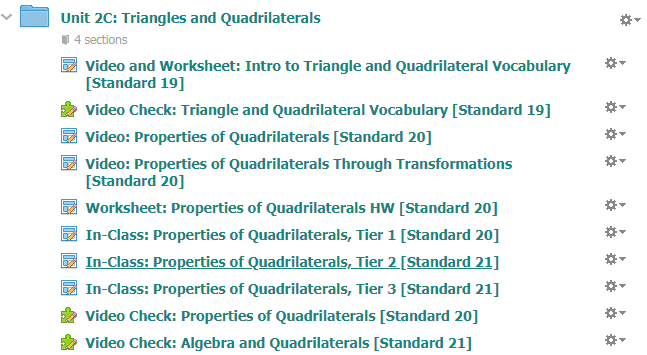 These could be seen by some as an “application” grade, but should could (and should) include all standards for mathematical practice such as justification and precision. Typically, these skills are transferable to other courses and other fields. Examples of assessments include error analysis, collaborative group activities, modeling projects, and any task intended to measure the mathematical practices. 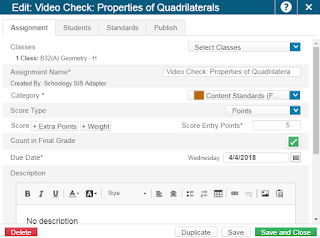 Just like content standards, you could assess multiple practice standards in one assessment. 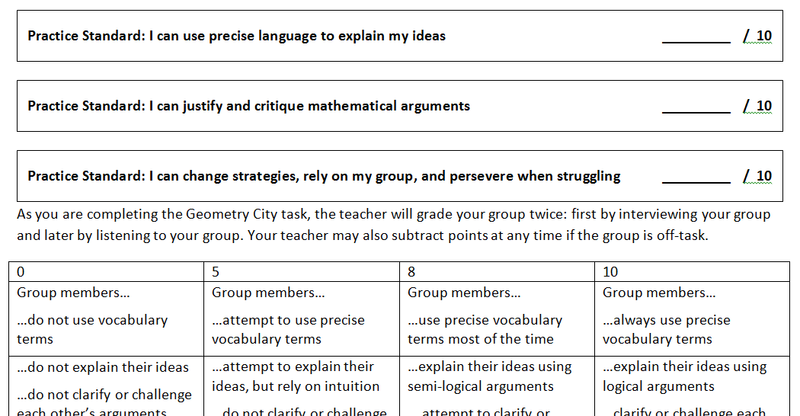 In fact, many of my collaborative tasks include both content standards and practice standards. Scholarship standards represents a student’s progress towards the transferable qualities of being a productive student. This includes "soft skills" such as executive functioning skills, punctuality and preparedness, working flexibly, self-monitoring, and reflection. Typically, these skills are transferable to all other academic settings. 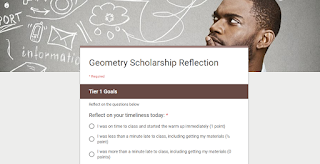 One example of a scholarship standard assessment is a personal reflection using a rubric. 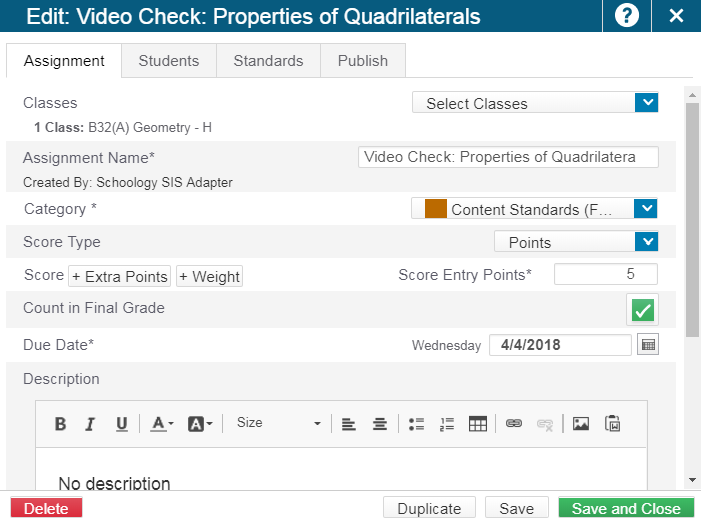 Use it to help write comments on report cards (e.g. students with high practice standard scores often get something like "Works like a mathematician by collaborating with others, attending to precision, and persisting through challenges"
Now, I'm pretty sure this is all stolen. I vaguely remember reading about categorizing standards years ago, but I can't remember the source. So, if anyone can point me in the right direction, I would be happy to give credit where credit is due.